Coca Cola (also known as Coke) is one of the leading companies in beverage industry in the world with a sale of 48 billion USD in 2012 (Coca-Cola, 2012). Coca Cola Company has total over 71,000 employees all around the world. "24th company with the best working environment in the world" of Coca Cola is the surest evidence for importance of its Human Resource Management (HRM) (Greatplacetowork, 2013). In 1999, Coke had to deal with a big problem in HRM arose from the merger of Coke's four bottling operations. Coke's vision guides every factor of its operation by describing what needs to accomplish in order to always gain sustainable and quality growth. There are many factors of vision, such as: People, Portfolio, Partners, Planet, Profit, and Productivity, which one of them "People" factor is the most marking one. According to Coke's strategy to keep talent employee,"Be a great place to work where people are inspired to be the best they can be". As noted by Jain T.R., Trehan M. and Trehan R., (2010): "Business environment is rapidly changing", that is the reason why companies which want the sustainable development have to plan for these changing. In other word, HR planning is very necessary and importance in building company's success. HR planning-process is determining and replying on organizational needs and new policies, new plans that will ensure the effective HRM under these changing states. (Kleynhans R. et al., 2007). An HR plan working with companies' business plan is to identify the demand of companies' resources and to accomplish the business's goals, as well. It will get better adapting for staff turnover, recruitment and selection, development, reward policy and stress reduction when companies face emergency circumstances. In other word, HR planning can help organization balance between demands and supplies. (Tyson S., 2006, p110). Organizations do not have HR planning means that they have less opportunity to exist with the competition ahead. Company doesn't know exactly how many people and whose skills which they need. Besides that, they cannot deal with HR problem on time when it suddenly happens. There will be many conflicts between company's mission, vision and operation. To solve this, there are 5 steps in HR planning process (Erasmus B. et al., 2005), which each step has its own role and contributions to the final success of HR plan and companies cannot skip any steps. Management at Coke Company focuses on the acquirement, the holding of high level and the well-informed staffs so that it can continuously be the leading position in the market. The company supplies the best conditions for employee performance to carry out their duties in the most willing and effective manner. Also, they offer the security of employment to the staffs so that they may feel stable about their future career. This strategy not only matches with Coke's vision "People: Be a great place to work where people are inspired to be the best they can be", but also shows the reason why almost employees are loyal to the company. As of the Coke circumstance, if managers want to lay off their labor, then they can easily do so, which has negative effects on their point of view of these discharge and so do their families. To avoid that, Coke had to consider carefully the employee's experience and performance. It had to decide whether that employee necessarily gets laid off or not and also do not disappoint them or hurt their feelings. The thing is how Coke's managers find out who the star employees are, who underachieving ones are and then layoff them in the smoothest way? Coke's way is appraisement all its employees. Employee appraisals are very crucial for any organization (Abraham A., 2013), including Coke in that circumstance in that time. Through this decision, Coke is able to evaluate the job contribution of each employee. One of appraisal ways which be used by Coke is 360 degree performance appraisal. Coca Cola merger caused the dilution of some jobs and forced to fire about 1500 of staffs at bottling plant, dissatisfaction among the employee and about 40 middle-level managers and some of them are senior personnel. Finding out who were unnecessary for Coke at that time by using performance appraisal gained many successes. Its employees' performances were better and it minimized the layout. In 1999, Coca-Cola revealed a growth 9% after restructuring, volumes increased by 14% and market-share increased by 1%. The company's improving expectation was further reflected with the 18% rise in sales in the second quarter of 2000. Beside some successes, Coke's performance appraisal still had many limits. One of its limits is the time of Coke's merger and its appraisal does not match. Merger happens in short term, but performance appraisal is a long term process to gain correct result. Coca-Cola performance appraisal had to occur in short term, it means the consequence of that process was not totally accurate and reliable. Another limit is the information of Coke's mass layoff affects to the employees' behavior in giving feedback. To protect themselves, some employees were give unreliable feedback for their colleagues. These behaviors recur an incorrect result of appraisal performance. In other word, there were some star employees who be laid off depend on that wrong appraisal. It affected negatively not only employees laid off but also for who were remained. 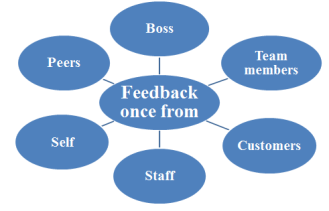 Performance appraisal should be evaluate by other factors (Bhattacharyya D. K., 2011), to give decision as well as possible. Each factor provides difference view, so the result of appraisal is more objective. COCA-COLA (2012) Coke Annual Report 2012, [Online] Available from: http://www.Cokecompany.com/annual-review/2012/pdf/TCCC_2012_Annual_Review.pdf [Accessed: 10th April 2014]. http://www.greatplacetowork.net/best-companies/worlds-best-multinationals/the-list [Accessed: 10th April 2014]. TYSON S. (2006) Essential Of Human Resource Management. 5th Ed. USA: Oxford. WADDINGTON J., (2005) Restructuring Representation: The Merger Process And Trade Union Structural Development In Ten Countries. Germany. ABRAHAM A., (2013) Performance Appraisal. Hamburg: Anchor Academic Publishing. PATTANAYAK B. (2006) Human Resource Management. 3rd Ed. New Delhi: India Private Limited. HALE R. AND WHITLAM P. (1998) Target Setting And Goal Achievement: A practice Guide For Managers. 2nd Ed. London: Kogan Page Limited. GROLE D. (2002) The performance appraisal question and answer book: survival guide for managers. USA: Amacom.